Pleasant experience. Knowledgeable, courteous and professional. Great! 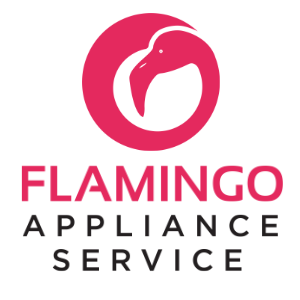 I highly recommend Flamingo Appliance! Due to our traveling schedule, were serviced when we were ready to do so. It was easy to schedule and the Service Tech was on time and courteous. Problem repaired in one visit! Quick diagnosis of problem and after ordering part, fast and professional installation! I was totally pleased with the results of the service call and the professionalism of the repair person. WASHER WHIRLPOOL WTW5000DW2 Installed new cntrl-elec. Unit tested ok.
REFRIGERATOR WHIRLPOOL WRX986SIHZ00 Installed new roller and grille. Unit tested ok.
WASHER WHIRLPOOL WTW8500DR0 Wrong part number. Ordering part; schdld next appmnt for 4/25 THU ! REFRIGERATOR WHIRLPOOL GX5SHDXTS00 Installed and adjusted new gaskets. Unit tested ok.
WASHER WHIRLPOOL WTW5000DW2 "Fault codes F2E3, F7E6 Called tech line spoke with Joe File# 7724639768, cntrl-elec needs to be replaced. Ordering part; ordrng 1 W11116590 (cntrl-elec)"
REFRIGERATOR WHIRLPOOL WRF989SDAH00 Installed new compressor. Leak check evap by vacuumed unit for 20 min. Charged unit with 5.5 oz of R134A. Unit tested ok.
REFRIGERATOR WHIRLPOOL WRF989SDAH00 Assisted Manny (43) with sealed system repair. WASHER MAYTAG MVWX655DW1 "Inspected unit found defective hub. I tried to remove the wash plate but is frozen in place. Unit will need: wash plate, basket, hub, gear case, tub. 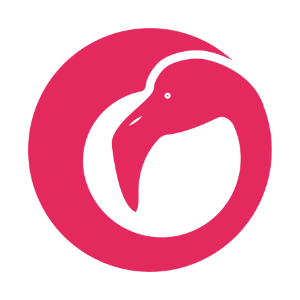 ; saved tckt , states that autho needed"
WASHER WHIRLPOOL WTW8500DR0 "F0E5( off balance load), F0E3(Overload ), F6E2(comminication error UI cannot hear ACU.) Unit need cntrl-elec and cntrl-panel; saved tckt , states that autho needed"
WASHER MAYTAG MHW5500FC1 "Inspected unit, no fault codes. Unit is doing the high speed spin pretty good. Everything is working fine in this unit. Instructed customer to use cycle guide page 9 on owner's manual to see the differences between cycles. Unit tested ok."
DRYER MAYTAG MED9700SQ0 Inspected unit found defective heater elemnt. Installed new elemnt. Unit tested ok. KITCHEN WHIRLPOOL WDT750SAHV0 "replaced tub assy , checked ok"
REFRIGERATOR WHIRLPOOL WRF550CDHZ01 Installed new door. Unit tested ok.
REFRIGERATOR WHIRLPOOL n/a "replaced ice maker tested ok , advised customer wait 24 hours for ice"
REFRIGERATOR WHIRLPOOL n/a "ran diagnostic no error code , found botton ice maker dosen't making ice , ordering part; ordrng 1 W10886939 (ice maker)"
DISHWASHER WHIRLPOOL n/a inspected unit heater elemnt is working but customer is not using rinse aid. I showed to him the owner's manual page# 3 where says the importance of the rinse aid for the drying performance of the unit. Instructed them how to use the D/W running the hot water first on sink and the best cycle. DRYER MAYTAG MEDB766FW0 Installed new cntrl-elec and water valve. Unit tested ok.
OVEN WHIRLPOOL KODE500ESS04 Unit was out of calibration. Recalibrated unit. Tested ok.
DISHWASHER WHIRLPOOL WDF330PAHS1 "F7E1(Cntrl programmed to disable heater) Ran diagnostics, heater is working ok. Instructed customert to run the hot water first on sink and keep the rinse aid full all the time. Tested ok."
WASHER WHIRLPOOL WTW4815EW1 Installed new latch. Unit tested ok.
N/A N/A WRF989SDAH00 Installed new cntrl-elec kit and adapter. Unit tested ok.
WASHER WHIRLPOOL WTW4816FW2 Filled washer with water completely and it is not leaking. Found water dripping from hot CPBC water pipe and showed to the customer. All funtions passed in diagnostics. Unit tested ok.
WASHER MAYTAG MVWC565FW1 F0E5(off balance load). Recalibrated unit. All funtions passed in diagnostics. Unit tested ok.
DISHWASHER MAYTAG MDB8959SFZ4 "Inspected unit found broken tracks. Installed new tracks from truck stock. Unit tested ok.; used 1 W11259785 (TRACK), and 1 W11259786 (TRACK) from stock"
REFRIGERATOR WHIRLPOOL WRF989SDAH00 Installed new reservoir and seal. Unit tested ok.
WASHER MAYTAG MVWC565FW1 Inspected unit found defective capacitor. Installed new capacitor. Tested ok.
REFRIGERATOR WHIRLPOOL WRS315SDHM01 "Unit was not level. Leveled unit out, greased hinge a little. Unit tested ok."